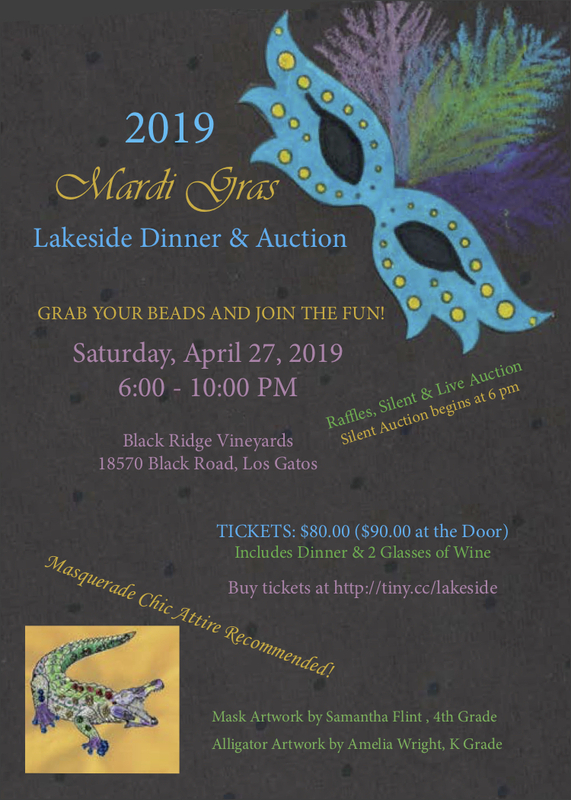 We invite the Lakeside Community and Lakeside Alumni to come party Mardi Gras style. Get out your party beads, your fancy masks and whatever party attire says Mardi Gras! There will be lots of shopping opportunities to be had. Each class puts together elaborate themed gift baskets, spectacular art projects created by the kids and many Live auction items to raise that paddle. This tends to be the most exciting part of the evening when the bidding wars begin. All Alumni and community members are welcome to attend. Please visit http://tiny.cc/lakeside for ticket purchases. The proceeds will help fund enrichment programs for all Lakeside students. Tickets are $80 per person and includes entry, two glasses of wine and BBQ dinner.